The placenta. You’ve created this wonderful organ over the last nine months…. Seems a shame to just throw it out doesn’t it? So, what are the options when it comes to using your placenta after delivery? Today we look at 5 things that you can do with your placenta instead of throwing it out. 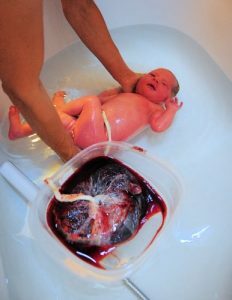 As most of you will know, the placenta is the filtering system that transfers blood between mum and baby during pregnancy. The placenta has the umbilical cord inserted into the middle of it, and is surrounded by the membranes that hold the fluid in around the baby. The placenta’s job is to filter all the nutrition to make your baby grow for the nine months that your precious one is inside. But what happens once the delivery is over and you have that precious baby in your arms? Many women don’t consider doing anything with their placenta, but it does seem a shame to just let that amazing placental organ that you grew for nine month go to waste! So here are a few suggestions you may like to consider – some not for those who feel squeamish! Yes, you read that right. Many people believe that eating the placenta is an excellent source of nutrients as it has been supplying your baby with nutrition for the last months. Apparently it is also a great source of iron and can help to boost breast milk supply. Many people believe that eating your own placenta (only eat your own – don’t go stealing other people’s placentas to munch on!) can protect against postpartum depression and also prevent ageing, however there are no significant studies to support this claim. Most mammals do eat their afterbirth, so it shouldn’t be unusual that humans would consider doing it. Plus, we have the added benefit of using spices, creating dumplings or whipping up a placenta smoothie. So may ways to enjoy! If eating your placenta whole sends your stomach churning why not consider drying your placenta and then having it encapsulated or turned into a pill. Makes it a little bit easier to swallow rather than being served up a plateful of fresh placenta. Taking the placenta in pill form has apparent similar benefits to eating the placenta whole – boosts iron levels, increases milk production and is of great benefit to the new mother’s mental state and recovery from birth. It can also help to reduce bleeding following birth. This process does need to be undertaken by someone who is trained in encapsulation and this is usually a doula, homeopath, or professional placenta encapsulation service. The placenta is a great source of nutrition, and if eating it is not your thing, then why not consider planting it. The tree that you plant on top can be a great symbol – as your baby grows and develops, so does the tree. Planting or burying the placenta has been done in different cultures for hundreds of years for both spiritual and practical reasons. The Maori people of New Zealand plant the placenta to show the baby’s link to the earth, while some cultures bury the placenta for the practical reason of preventing wild scavenging animals and maggots. Again, something to consider – a placental fruit tree. Birth art. Yes, this does exist. If you fancy a bit of DIY art work after your delivery, and I mean to say, who wouldn’t want to get crafty after just pushing a human through a small hole, then this one is for you. There are a variety of techniques that can be used. You can directly push the blood-stained placenta on to some plain white paper to make creative prints (think potato prints but messier), or you can add coloured paints to make it a brighter piece. People report that the shape looks like a tree and symbolises new life. These can also be embellished and framed and hung in the hall for all to see the beauty of art which is PLACENTA. Commonly known as Lotus birth, some women choose to not cut the umbilical cord, and instead wait for the placenta and cord to naturally dry and fall off at around three to ten days after delivery. Sometimes women coat the placenta in salt to preserve it, others keep it in a small bag next to the baby. The idea is to respect the natural rhythms of nature, and not do anything, just let nature take its course. It is also believed to help the baby in the new environment and reduce separation anxiety from the womb when they are born. Lotus birth also provides the benefit of delayed cord clamping which ensures that the baby receives the maximum amount of blood from the placenta and from mum. If none of these options appeal to you then that is perfectly fine – not everyone wants to deal with an organ that has just been ejected from their body whilst they are holding a squirming newborn in their arms. If you have no preference for doing something with your placenta then most healthcare providers store the placenta for a couple of days, and then dispose of it in medical waste. Every woman having a baby has a different idea with what they would like to do with their placenta and it is a personal decision for you to decide what is best for you and your family. As for me, I’m off to make a smoothie…. 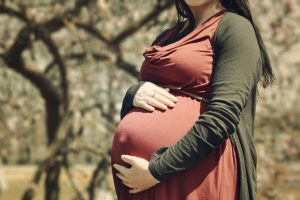 Are you planning on using your placenta? Please share below. Michelle Penn has over 10 years experience as a midwife and child & family health nurse. 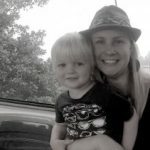 As well as being mum to four little ones (including four-year old twin boys), she is passionate about empowering and educating new mums with relevant and interesting information to help them with the amazing journey which is motherhood. When Michelle is not delivering babies or raising her own tribe you’ll find her running, removing small pieces of Lego from the bottom of her feet, or escaping the grind with a good read of chick lit.